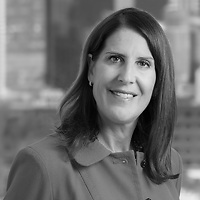 Wendy Fiscus, a member of the firm's Real Estate and Finance Department, served as a speaker at the Boston Bar Association’s “Real Estate Basics: Opinion Letters 101” on March 3. This brown bag lunch event focused on how real estate transactions often require opinion letters from counsel addressing various aspects of the deal at hand and the importance of understanding the basics of opinion practice, whether an attorney is reviewing an opinion letter or is writing one. The session specifically covered authorization and enforceability opinions for real estate deals and the presenters addressed the essential ingredients of an opinion letter in real estate transactions and provided tips and best practices.